The Memorial Candle Program has been designed to help offset the costs associated with the hosting this Tribute Website in perpetuity. Through the lighting of a memorial candle, your thoughtful gesture will be recorded in the Book of Memories and the proceeds will go directly towards helping ensure that the family and friends of Emory Ratliff can continue to memorialize, re-visit, interact with each other and enhance this tribute for future generations. Emory Ratliff, 82 formerly of Regina, KY passed away Tuesday, July 3, 2018 at the Eastern KY Veterans Center in Hazard, KY. He was born January 3, 1936 in Pikeville, KY to the late John & Rissie “Coleman” Ratliff. Besides his parents he was preceded in death by his wife, Loretta Chaney Ratliff; three sisters; Jonice Marie Coleman, Shirley Jean Ratliff, Georgia Ann Wallace & one brother Lester Ratliff. Emory is survived by five daughters, Teresa Kemper, Anita Bartley, Deborah Potter all of Carrollton, KY, Pam Ratliff & Judy Ratliff both of Pikeville, KY, seventeen grandchildren & thirty seven great-grandchildren & two sisters, Rosalee Robinson of Lick Creek, KY & Christine Ward of Road Creek, KY, and also his Eastern KY Veterans family. 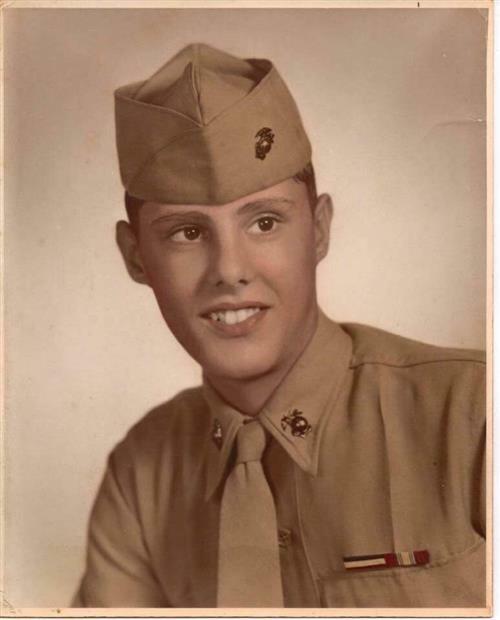 Emory served his country proudly in the US Marines. He will be sadly and forever missed. The family will accept friends at the Thacker Memorial Chapel, Thursday July 5, 2018 at 6PM with a service at 7PM with Charles Justice & Randy Bentley officiating. Funeral services will be Friday, July 6, 2018 at 1:00 PM with DAV Honors conducted by the Johns Creek DAV Chapter #166. Burial will follow at the Annie E. Young Cemetery at Pikeville, KY.
To send flowers to the family of Emory Ratliff, please visit our Heartfelt Sympathies Store.